What’s the big deal here? 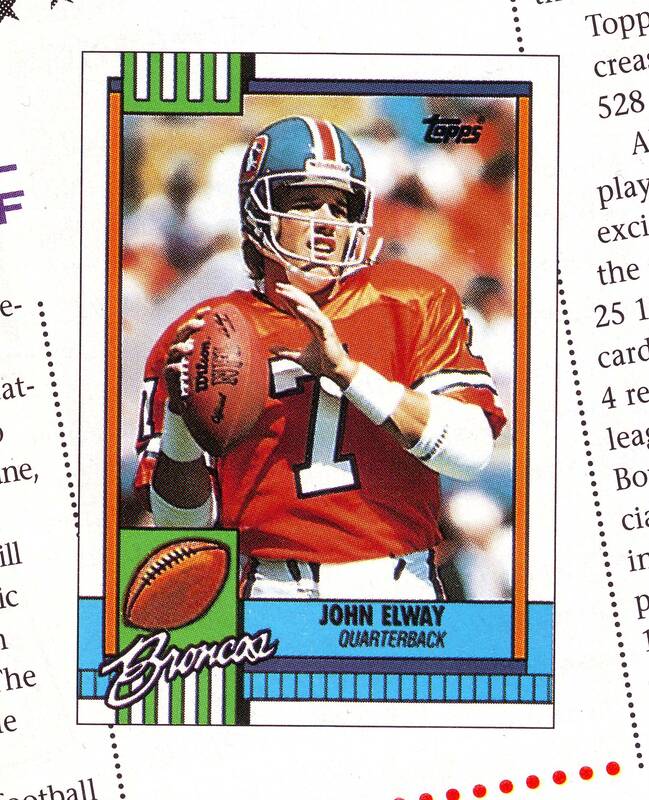 It’s just a regular 1990 Topps Football card, right? Nope. 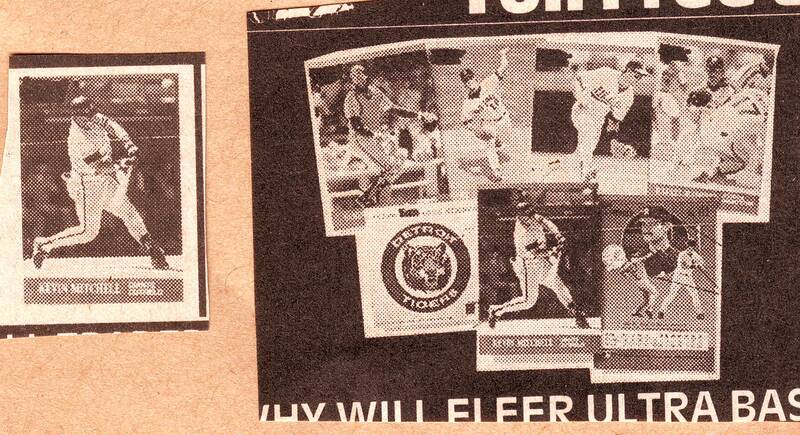 It’s some kind of sample shown in a 1990 issue of Topps magazine. You can immediately tell the difference by the inclusion of “Broncos” on front, at bottom left, instead of the Topps logo. This may never have actually been produced and was maybe just a mock-up on a piece of paper, created by a Topps designer. The hand-drawn football is a big clue for this being the case. In 1990, the NFL did not grant Topps a license to produce football cards or use team logos (look how far we’ve come…), but Topps decided to print them anyway. Two major changes occurred: 1. The omission of team names or logos from the card fronts and 2. a disclaimer notice on back of every card, stating: “Topps football player cards are not manufactured, sponsored or authorized by any team or league.” Eventually, Topps was granted a license and the late-issued cards they produced for 1990, had the disclaimer removed from the back. Little-known-fact: all 1990 Topps Football packaging, even the box bottom cards themselves, can be found with or without the disclaimer. 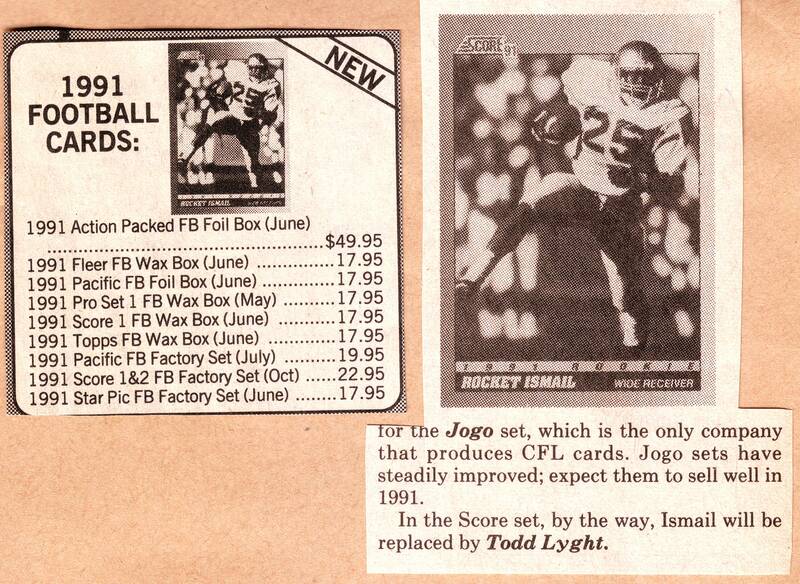 Little-known-fact Part 2: Topps was deep into the development of a 1990 Bowman Football set at the same time. 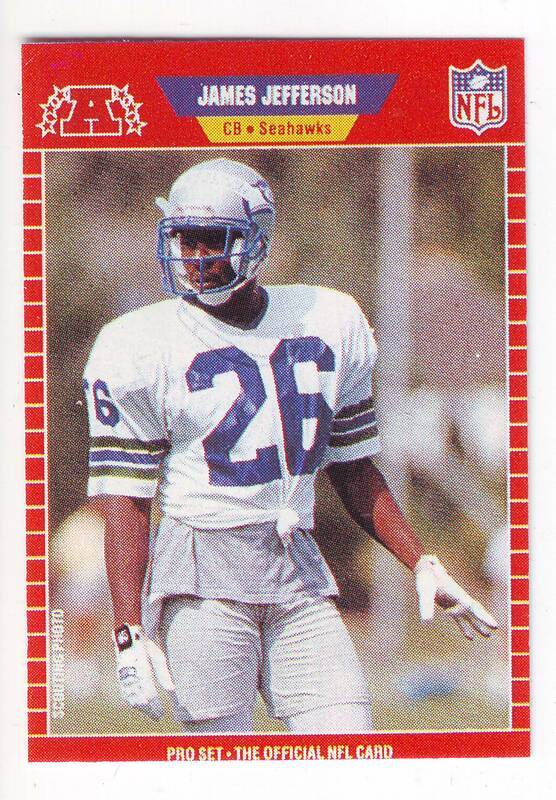 This was shelved for unknown reasons (likely related to their NFL issues), but how cool would it have been to have had a 1990 Bowman Emmitt Smith RC. 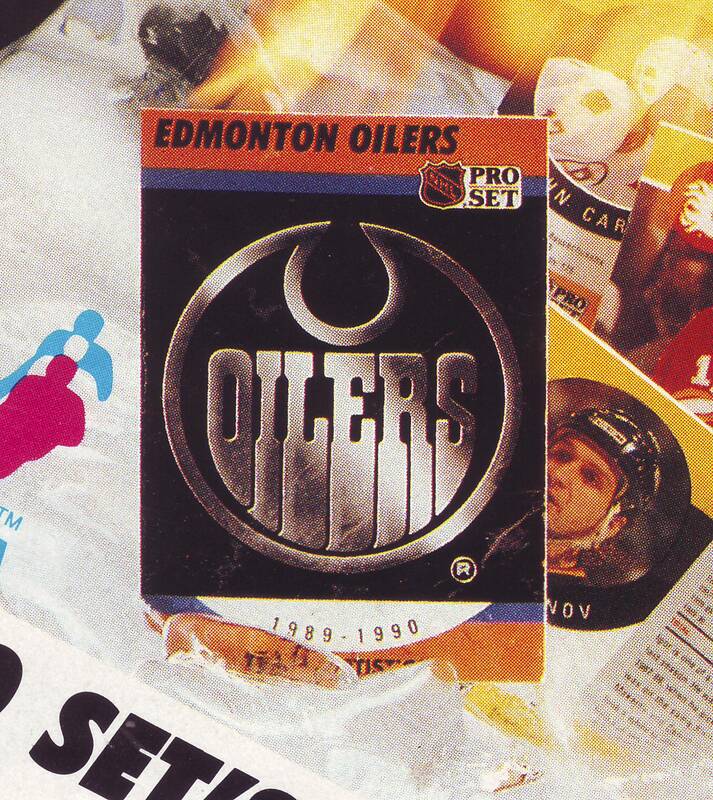 ‘Home of the Rookie Card,’ right? 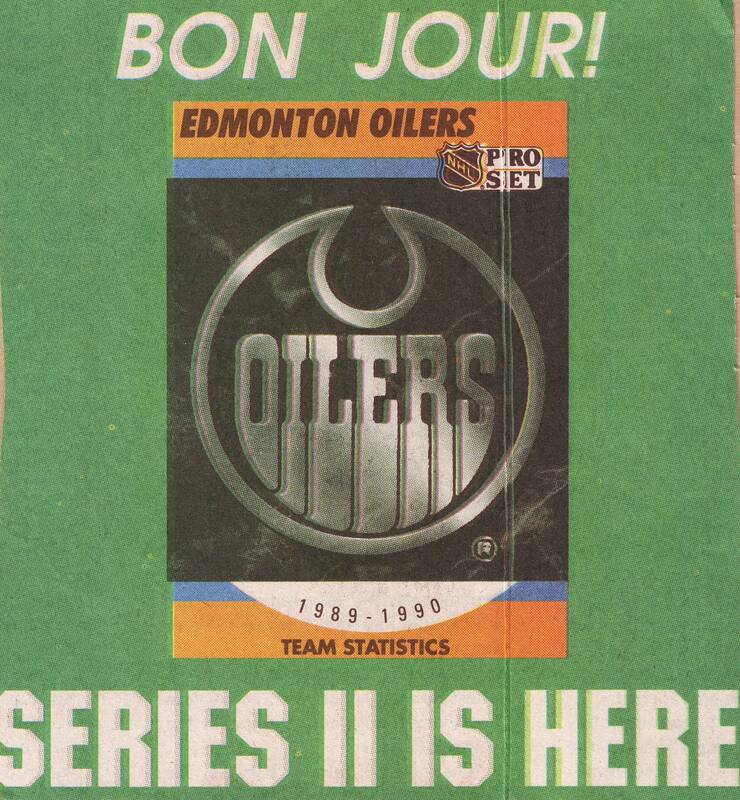 In 1991, just after the enormous success of 1990 Leaf Baseball as Donruss’ entry into the ‘premium’ card market, the other companies were looking to launch a high-end line of cards. Fleer put together a set that was to be called ‘Elite‘ but because Donruss already had a major insert set by the same name, Fleer was forced to change the name to ‘Ultra‘ just before release. The above images are from a 1991 SCD Basketball, Football, Hockey Collector magazine ad. This is the best image that’s out there for these samples, as far as I know. Notice how the card logos are blacked-out, recalling Fleer’s Bill Ripken bat-handle editing technique. I have no idea whether this is the doing of the dealers who were running the ads, possibly at Fleer’s behest, or if Fleer sent them samples or mock-ups with the blacked-out logos. Makes you wonder if any physical samples are out there. Either blacked-out or with the Elite logos. I know I’d love to add a Robin Ventura to my collection! 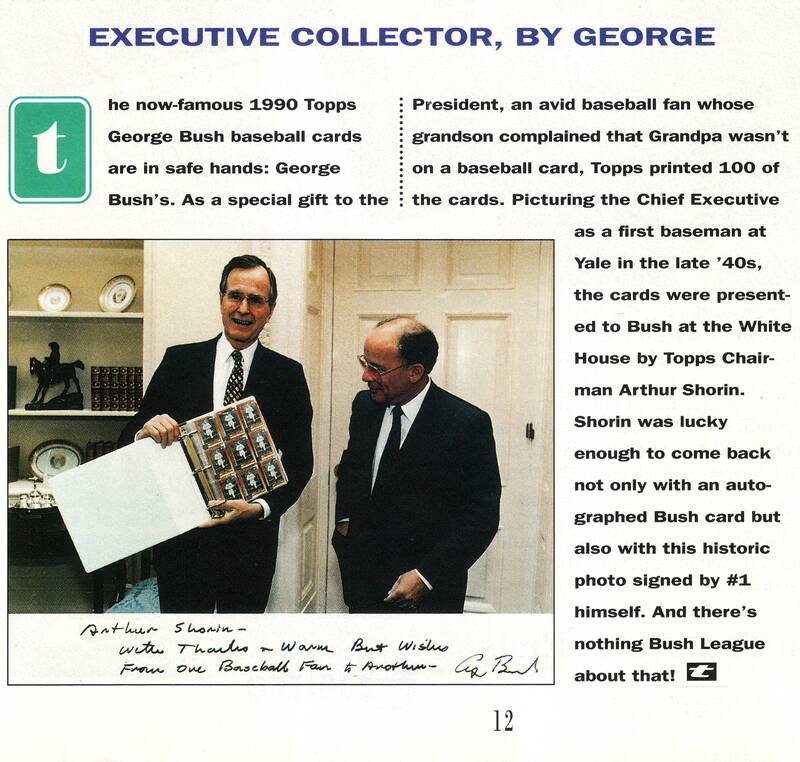 One of the most unusual, fascinating and outright-scarce Topps cards produced is the 1990 Topps George H.W. Bush USA card. For the last several years, just a handful of copies have popped-up and they often sell for generous amounts of money. Rumors were all over the place as to this card’s origin and method of distribution since it started to show up in the annual catalogs. 1. Check out that binder. 100 cards in there? There’s a possible $4000 on that first page alone! 2. I can’t help but wonder what condition they are in. 3. What do you think he did with it immediately after the photo was taken? 4. I wonder if he actually ever distributed the cards to people or if he just had his handlers send them as gifts, etc. 5. Where’s that binder today?